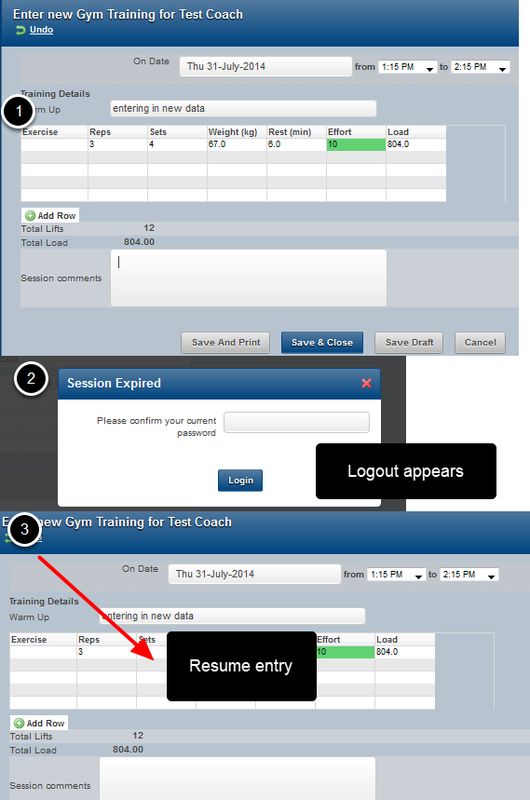 The main application has a Timeout length which is defaulted to 12 hours after no activity. However, if the majority of the users in your organisation need a lock after 60 minutes, but some others need a lock after 10 minutes of no activity, the shorter time period could be annoying for the users only needing 60 minutes. To overcome this, each Role can have a timeout period set for it. This means doctors in an organisation could be set to 10 minutes, and an S and C role could be set to 60 minutes, and the timeout would appear accordingly. 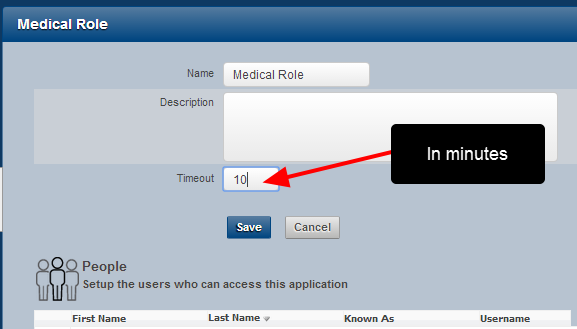 Moreover, if the application timeout is set to 240 minutes, and a user has multiple roles and each role has a different timeout period ranging from 10 minutes to 120 minutes, the system will always take the minimum length and apply it to this user (e.g. 10 minutes). 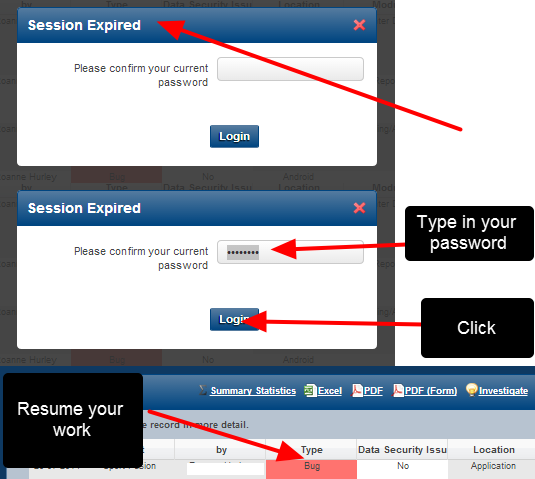 ALL users in this role will now have the session expiry pop up box appear after 10 minutes of no activity on the application (see below). This user has 3 roles that all have timeout lengths. However, the shortest length will always be the one that is adhered to, e.g. 10 minutes.